Stopping in really quick like to announce the winner from my last giveaway! Congrats Katie H.! 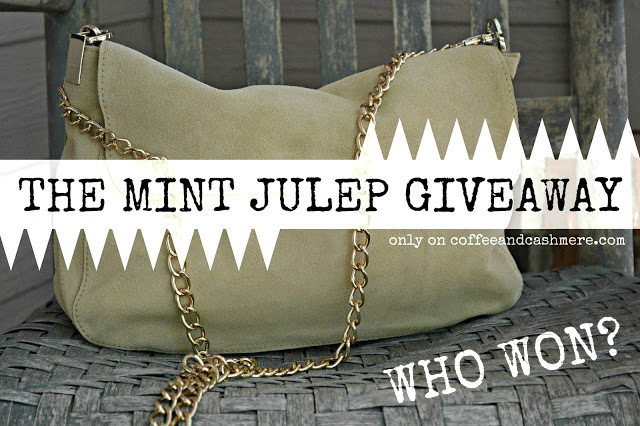 You won a $25 gift certificate to The Mint Julep! I have already emailed you! Also- a big THANK YOU for everyone who entered! More giveaways to come! Get your lucky rabbit's foot/feet ready.